The following is a transcription of the Fauquier Cemetery, also know as the Lakeview Cemetery, located in Fauquier, British Columbia, Canada. Located on a gravel road hidden from view by heavy bush, this is a new cemetery that was developed in Fauquier in the 1960’s. 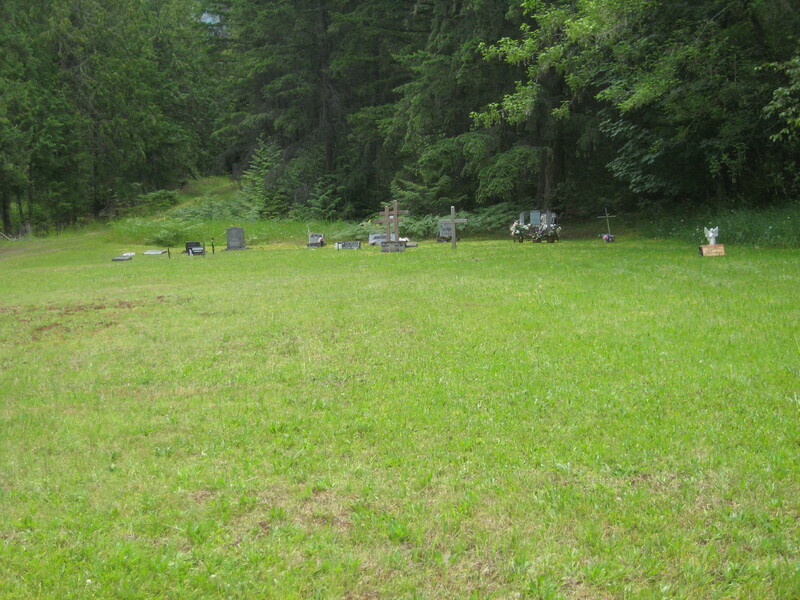 It was set up to replace the old cemetery which was submerged by the waters of Arrow Lake when B.C. Hydro raised the lake level by dam construction. 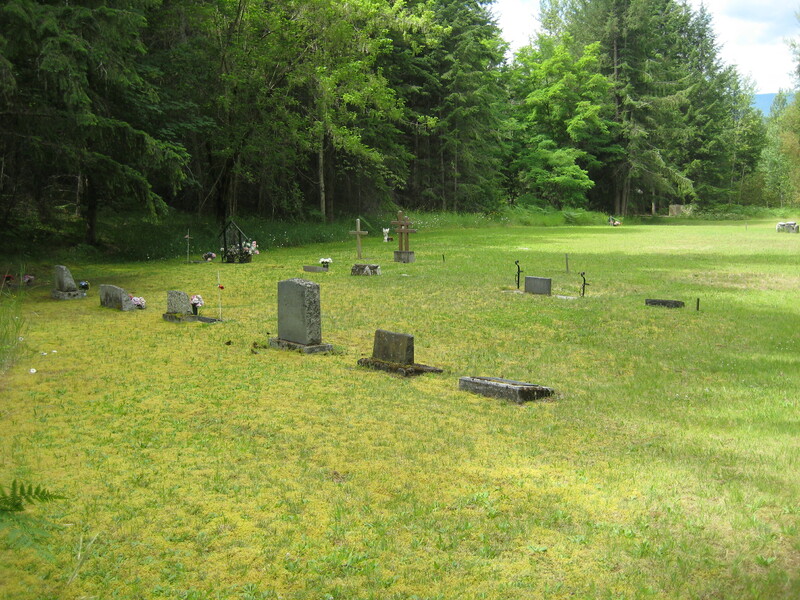 However because of soil instability the original cemetery burials did not suffer the same fate as other cemeteries in the area and the approximately 13 burials were moved to the new site. 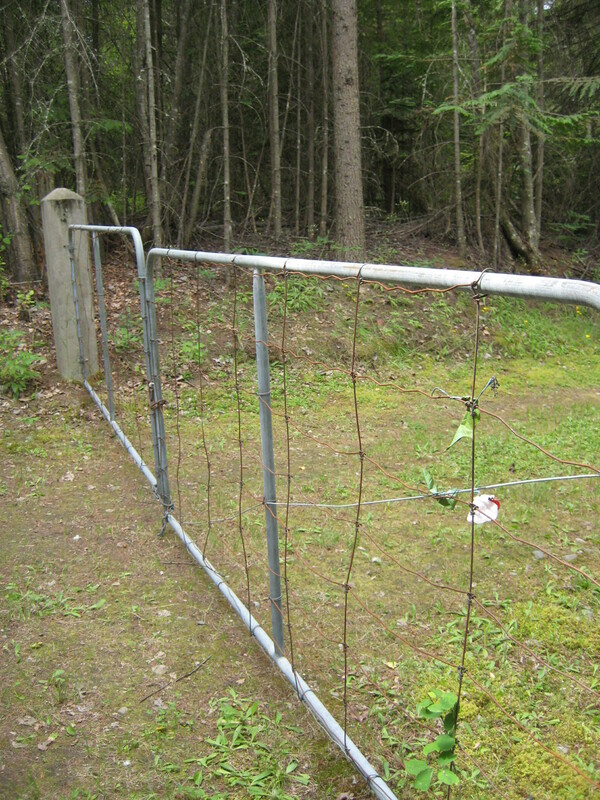 The cemetery has double entrance gates and is well kept, however because of surrounding bush; it is hidden from the road. 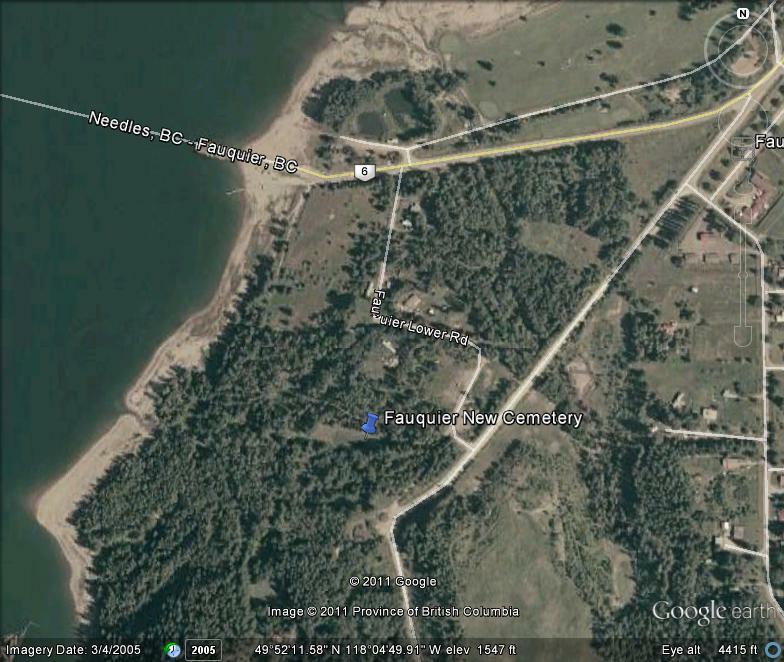 Fauquier is 60 km south of Nakusp on Highway 6 and is the eastern terminus of the Arrow Lakes ferry crossing. Approaching the ferry dock from the east, turn to the right at the first business frontage road on to Upper Fauquier Road. Go past Willow Loop Road then turn to the right on gravel just prior to a rock bluff on the left. Having turned right, proceed 50 feet and turn left. After turning left, proceed 50 feet and the cemetery is on the right.